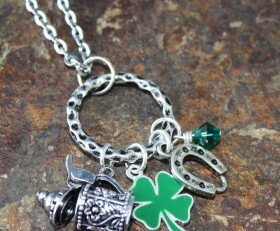 Show the Luck Of The Irish with this unique charm necklace. 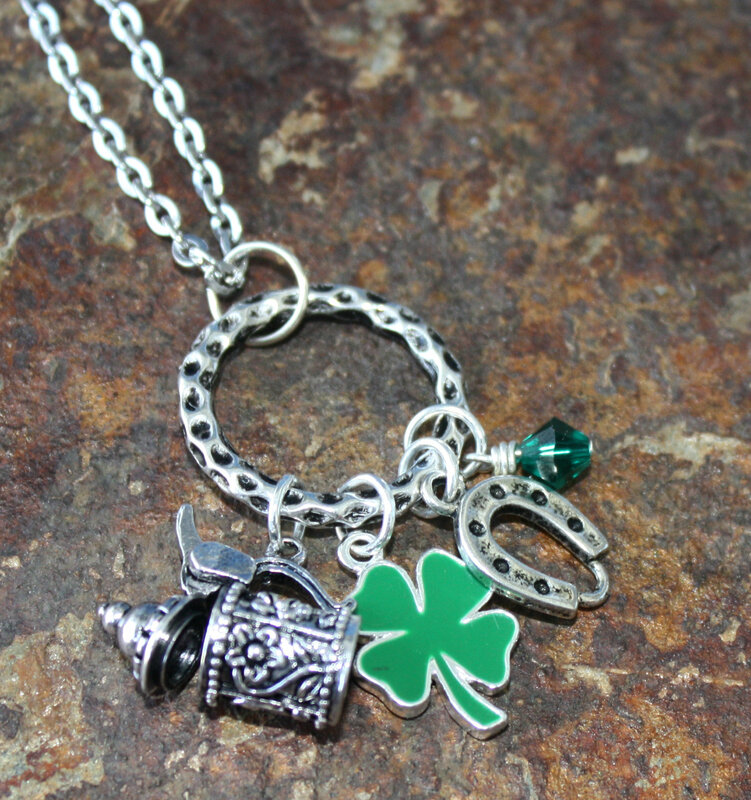 Hanging from charm holder is a green shamrock charm, horseshoe and beer stein accented by green Swarovski crystal all on a stainless steel necklace. Categories: A Little Bit of Everything, Holidays, St. Patrick's Day.